To maintain brand consistency, we recommend creating social media avatars that are in line with the strategy below. 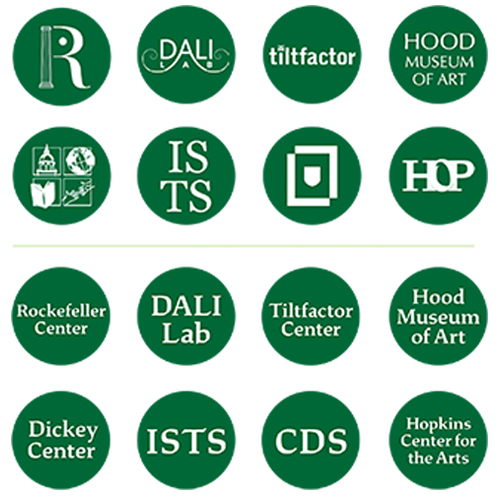 Consistency is achieved through the use of Dartmouth Green and our brand typefaces. For questions about social media avatars, or to get help creating one for your office, contact Erin Supinka, the assistant director for digital engagement in the Office of Communications. 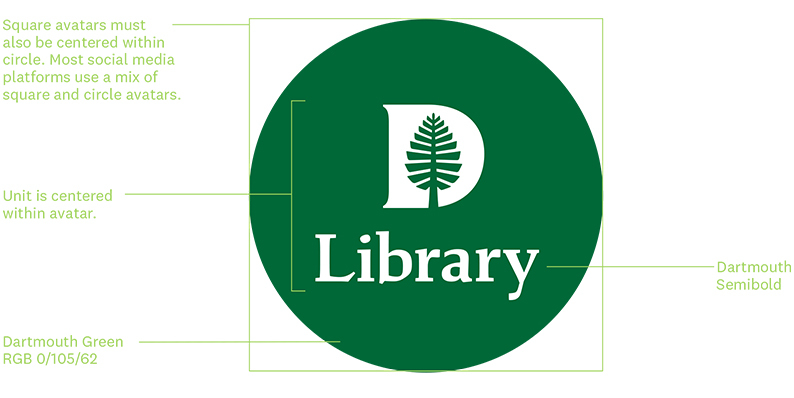 Official Dartmouth accounts are encouraged to use the name of their department or organization paired with the D-Pine. Student groups are encouraged to use the name of their group paired with the D-Pine. Or, if they have their own logo, a knocked-out version may be used. Accounts associated with Dartmouth are encouraged to use the name of their organization. Or, if they have their own logo, a knocked-out version may be used.